I have decided to post once a month one of my favourite photos that I’ve taken, and maybe others as well. Every month until I die. These will be without a theme, but they will probably end up being places I wish I was at. 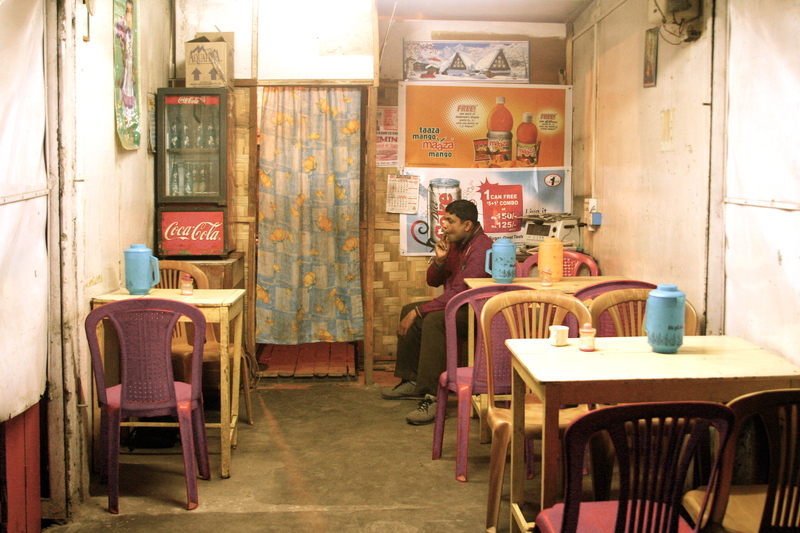 This month: Delhi Dhaba, the best food I’ve eaten in my life, the best people I’ve met in my life, plastic chairs. This is really off topic, because this is my way of contacting you, so don’t bother publishing this comment. I got your postcard today. When I saw it, I thought it was junk mail, curiously in French. I turned it over to read the English side and got a surprise! I translated it through “google translate” and got “do you remember that you got a request to put you in the sunscreen?” I’m not sure it’s quite right. But thanks for the postcard Nic!